PARIS -- Renault's new production strategy will make France a center for electric vehicle production as well as future top-end cars. The automaker will focus on high added-value production in France, while investing in higher-volume output in growth markets outside of its home country. Between 2010 and 2013, Renault will invest 5.7 billion euros ($7.77 billion) in its industrial sites, of which 40 percent will be in France. The company will also invest in production expansion in emerging markets such as Brazil, India, and Russia to offset a weak European market. About 80 percent of all Renault-badged EVs produced worldwide will be built in France by 2015. The company's projected volume electric car, the Zoe subcompact hatchback, will be built in Flins, while the Kangoo Z.E. car-derived van will be produced in Maubeuge. An exception to French EV production will be the two-seat Twizy scooter-style EV, which will be built in Valladolid, Spain. Renault said the Flins plant will begin EV battery production in 2013 with a capacity of 100,000 battery units per year. EV motors will be built at Cleon in France starting in 2013. The automaker's yet-to-be named top-end model for the European market at its Douai plant in France beginning in 2014. It will replace the Espace and Laguna and will share a platform with Nissan, Renault said. Renault will build a new commercial van in Sandouville, France, where it will have the capacity to produce 100,000 van units a year by 2013. The company has not said whether this van will replace the Trafic, which is currently built in a joint venture with General Motors Co. in Vauxhall's plant in Luton, England, and in a Nissan factory in Barcelona. The company will continue to make its Master in Batilly, France, and the Kangoo Express at Maubeuge, France. Renault's Valladolid powertrain factory is reaping the benefits of cooperation with Nissan and Daimler. The plant will produce engines for Daimler. The next-generation Smart ForTwo, a planned new Smart four-seater and the Renault Twingo will be offered with three-cylinder gasoline aspirated and turbocharged engines, based on a Renault-Nissan design and adapted for use by each brand, a Daimler spokesperson told Automotive News Europe. Daimler will build gasoline and diesel engines for Nissan Infiniti models. Daimler, Renault, and Nissan will also co-develop future gasoline and diesel engines. Renault will begin production of a four-seater Smart model for Daimler in Novo Mesto, Slovenia. The new Smart will share the same platform with an upcoming Twingo. Both models are scheduled for launch in 2013. Renault will invest the bulk of its new production investment in Brazil, India, and Russia where Renault said sales have increased four-fold during the past 10 years. Renault's Tangiers, Morocco plant will begin production next year with a capacity to produce 30 Logan units per hour. The Tangier plant's production will serve markets in Europe, Africa, Mexico, and the Middle East. 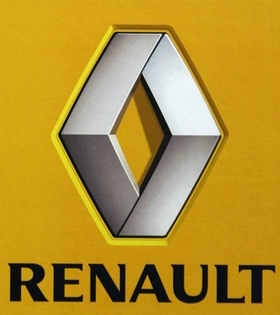 Renault sales outside Europe now account for 37 percent of total sales, compared to 17 percent in 2000, Renault said. The percentage of Renault sales outside of Europe will increase this year to 43 percent.